Our U23s turned out this afternoon against Leicester’s youth team and blew them away 6-0. There were some incredible performances from all the Reds, but it was Rafael Camacho who caught the eye as he netted an impressive hat-trick for our youth side. The Portuguese youngster got a stunning first on the 50-minute mark before doubling his account six minutes later with a tap-in. It looked to be Brewster’s goal but the 18-year-old made sure of it as he got it over the line. 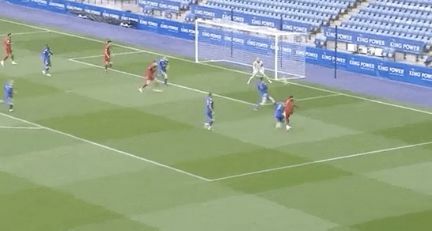 He got his third eventually – after hitting the post earlier – running onto a sublime through ball from Curtis Jones before finishing with aplomb. The win moves our U23s into third in Premier League 2 above Arsenal.